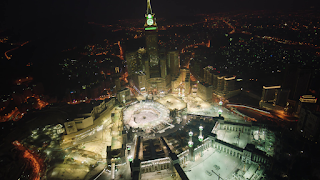 Lessons of Hajj - Hajj is the holy pilgrimage offered by Muslims in the holy month of Dhu al-Hijjah. This pilgrimage is the dream of every Muslim but only those who have the capability to afford it have the responsibility to at least perform this religious journey to Mecca and the Medina cities of Saudi Arabia. Hajj is the holy pilgrimage offered by Muslims in the holy month of Dhu al-Hijjah. This pilgrimage is the dream of every Muslim but only those who have the capability to afford it have the responsibility to at least perform this religious journey to Mecca and the Medina cities of Saudi Arabia. As Islam has taught many things which are purely linked to humanity and self-integrity, this ritual of Islam also claims to teach the followers some of the most important lessons which are basically life-changing and enlightening. You are going to observe these lessons which I am going to discuss below at Hajj 2019. No matter what are the teachings of Hajj, the most important lesson which is linked with the prosperity and the attitude towards the religion and religious obligations. This is a ritual which has been made obvious for those who have the tendency to perform it. This makes the respect and the prosperity of Muslims towards their religious obligation more controlled and firm, increasing their way towards the eternal faith and prosperity. “In it are clear signs [such as] the standing place of Abraham. And whoever enters it shall be safe. And [due] to Allah from the people is a pilgrimage to the House - for whoever is able to find thereto a way. But whoever disbelieves - then indeed, Allah is free from need of the worlds” - - 3:97. Now when the pilgrims perform the Hajj there is a lot which they learn when they sacrifice the animal as the proper ritual. For there they get the glance that contributing towards the economy and then contributing to resolving the issues such as hunger and poverty is very important. You will observe in Hajj 2019 that many pilgrims will contribute in the path of their religion and then many helpless people will be fed on it. If Muslims will get the concept behind this ritual and adopt it, then the wave of poverty will distinguish. According to the teachings of Islam, the process of equality and gratitude is very important as there is no one better but those who have the best attitude towards the creatures of Allah. This is depicted when Muslims from all the cast, whether white or black gather together and perform Hajj. This is the equality which is depicted by all the Muslims around the world which gather to perform Hajj. If we look into deeper than we will find that in front of Allah, they all are same, whether famous or ordinary in the stage of the world but in the court of Allah humans get recognition from their status in religion. “The believers are but brothers, so make settlement between your brothers. And fear Allah that you may receive mercy” - - 49:10. From the journey of Safa and Marwa, Muslims are taught the lesson of hope and the dedication of a female towards saving her child which also shows how Islam embraces feminism. This is a very important point when Hajra prayed and ran from one mount to another for seeking the help for her thirsty child Allah arranged the Zamzam which itself is the big symbol of how her deed attracted Allah and this well came into existence. This is the importance of females in Islam, which needs to be followed by every Muslim for fulfilling the rituals of Hajj and Umrah. When the Muslims enter the state if Ihram they are not allowed to eat or drink those things which are not allowed in Islam. There are so many things such as smoking and hunting which are not allowed in Islam and if someone will obey these orders in these days they will have the ability to control this habit afterward as well! When the Hajj is performed, there are so many other things which got some message and those are linked with the manpower of all the humans on the either. The Islamic monuments and landmarks which are there preserved such as the stoning of the satan (devil) gives a message that there is nothing which can prevent you from eradicating the evil inside you. These are the teachings which Islam gives to its followers so that they can not only be good in the religion but also in the race of life, because this religion claims that the subject of this ethnic group is based on humanity only! I hope you find this Lessons of Hajj educative, have a great day.